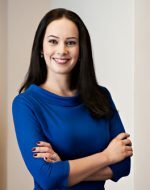 Lenka Abelovská’s primary practice focus is international and domestic dispute resolution, including investment arbitration and litigation. She advises clients in proceedings before arbitral tribunals in investment arbitration cases under ICSID and UNCITRAL rules as well as before local courts. Her experience also includes counseling clients in proceedings before the European Commission and the Court of Justice of the European Union.Lenka further specializes in corporate law. Her corporate experience includes representing clients on cross-border mergers and acquisitions and advising them on all aspects of general corporate matters on a daily basis. Clients expect knowledge of their business as well as high-quality legal skills from their law firms. Our combination of legal and industry experience allows us to better analyze client requirements and develop the right approach for the matter at hand. Clients receive tested insight and guidance from a team that understands their needs and is able to offer tailored solutions. With offices in 21 countries on five continents, our global legal practice is in the markets where our clients do business. We also have strong working relationships with independent firms in Europe and Latin America.